Amid utter chaos and confusion that marked the distribution of the famous ‘fish prasadam' in the city, one person was killed in a stampede while some others suffered injuries in Kattedan, here on Friday. Thousands of people suffering from asthma jostled with one another at the gates of the sports complex on the city outskirts, where the ‘prasadam' was to be administered by Bathina Harinath Goud's family members. The belief is that the ‘prasadam' would cure them of the respiratory disorder. The yellow dough-like medicine, ingredients of which are kept a secret, is rolled into a small ball, put in the mouth of a live ‘murrel' fingerling and pushed down the throats of the patient. Desperately hoping for a cure for their chronic asthma, thousands of patients and their relatives throng at this annual event where a family hailing from the twin-city of Hyderabad makes these credulous patients swallow "fish prasadam" - live murrel fingerlings dipped in what the organizers call ‘herbal medicine’. Earlier, they used to call their offering ‘fish medicine’. In 2005, however, with the Andhra Pradesh High Court, acting on a petition filed by the rationalist group Jana Vigyan Vedike, directing the organizers of the spurious treatment not to use the word ‘medicine’, they started calling it ‘fish prasadam’. But this change in nomenclature does not seem to have the desired effect. With the open complicity of various government departments (the State Fisheries Department, for instance, “arranged for 80,000 ‘murrel' fish” for the event this year) the crowd continues to swell every passing year. The Baithini Goud family that administers this 'treatment' claims that some saint had handed over to their ancestors, in 1845, a secret formula of medicine as a cure for asthma.1. It is not clarified who the saint was, why the saint had selected this family to administer it, or why the ‘medical formula’ should remain a secret. Or why the medium for administering the ‘herbal medicine’ should be a fish. But the last point perhaps is understandable because the family administering this ‘secret cure’ belongs to the Goud caste, for whom eating fish is not a taboo. What is interesting however is that with the popularity of their medicine picking up, attracting patients belonging to the ‘twice-born’ castes too for whom fish is forbidden food, the treatment evolved! Now the murrel fish is no more a necessity – jaggery is equally fine, though the trade mark remains the murrel fish! Who can now say that providers of miracle cures and alternative medicines do not experiment! If you start visualizing a fish moving, wagging its tail and fins as if through a stream, from your pharynx to esophagus to your stomach (the normal path of the food you eat), you are thoroughly mistaken. That’s not where this fish goes. It goes right into your lungs and ‘negotiates the phlegm congestion”! “As the fish moves down the windpipe, it opens pores blocked by phlegm, thus making way for the herbal paste” (Life Positive, November 1999). Fish moving down the windpipe? Are they joking? Do the author and the editor of the journal never ever coughed up tiny food particles that accidentally entered their trachea or windpipe? If this is what happens when tiny food particles accidentally get into your lungs, can you even imagine a fish ‘swimming’ through your windpipe and lungs? It is evident that the Goud family and the worthy editors of Life Positive magazine who have taken upon themselves the task of marketing medical charlatanism are ignorant of even the basic human anatomy and the causes and symptoms of asthma. It is shocking to see thousands of chronic asthma patients flocking to these quacks without worrying about the hazards involved. Though it is reported that this ‘treatment’ is offered free of cost (the Goud family claims that the saint who had gifted this secret medical formula had made them take oath that the treatment would be offered free of cost; the 'medical formula' would however remain secret – Oh! What a magnanimous saint! ), we think that various financial aspects of this annual event should be seriously looked into, studied, and investigated – including the role of the government departments. Who bears, for instance, the cost of 80000 murrel fish supplied by the Fisheries Department of the Government of Andhra Pradesh? At what cost it is supplied? Why does the State Government continue to involve in these affairs by arranging the venue, supplying murrel fish, and making special transportation arrangements from various parts of the state for the patients to reach the venue, despite the fact that it is proven in the laboratory tests that the ‘treatment’ is medically worthless? But the more important question to be asked is why do people, even the educated, intelligent lot, fall for this medical charlatanism? 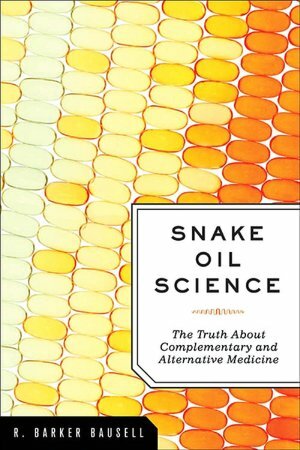 Analysing the growing popularity of Complementary and Alternative Medicine in the United States in the 1990s, R. Barker Bausell says in his book Snake Oil Science that modern medical science’s answers to ‘chronic, non-life-threatening illnesses that drastically affected their victims’ quality of life’ left a great deal to be desired. Pharmaceutical marketing created the expectation that there did exist a medical answer for every human complaint. However, consumers “dissatisfaction with conventional medicine’s inability to treat, much less fix, chronic, sometimes disabling aches and pains” has created demand, which is met by the supply of these ‘alternative treatments’. R. Barker Bausell, 2007, Snake Oil Science: The Truth About Complementary and Alternative Medicine, Oxford University Press, New York.